My Thoughts: I was raised with horses, my family active in rodeos. When this book was received as a Christmas gift, I was pretty excited. 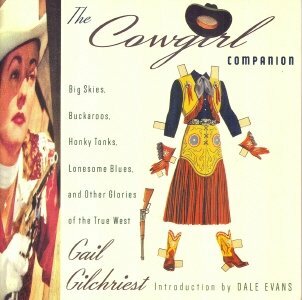 Parts of it are fun and I did learn a few things about women of the Wild West. For the most part, though, this is a pretty fluffy read. Published in 1993, most of the fashion tips are out of date. 'Not a great book for me.